The invasion of Indo-Pacific lionfish on Caribbean reefs has prompted resource-demanding removals. Ecological tools to optimise the outcome of these costly efforts are scarce. Topographic complexity usually correlates strongly with fish abundance and can be mapped over large spatial scales. Determining the nature and strength of its relationship with lionfish abundance is therefore an important step in generating spatial prioritisation tools for removal programmes. Here, we quantify the relationships of lionfish density and hunting behaviour with topographic complexity, grouper biomass, and prey availability on the north-east reefs of Little Cayman. Lionfish density varied across sites irrespective of topographic complexity or density of prey fish, but was highest on the most rugose section of the reef terraces. Increased topographic complexity along the edge of the drop-offs caused modest increases in lionfish density. Grouper biomass caused no clear reduction in mean lionfish density, but narrowed the variance. Lionfish invested more time hunting on rugose sites with a paucity of prey refugia, implying that these may be places where prey fish are most vulnerable to predation. Under the reasonable assumption that lionfish display strong site fidelity, targeted removals are likely to yield the highest conservation benefits if focused on most rugose sites and at the edges of drop-offs. Determining whether longer hunting times yield increased predation rates, and quantifying the effectiveness of physical refugia in protecting prey from lionfish predation strikes, are important future research directions. If topographic complexity determines lionfish hunting success, there is a scope for mapping the vulnerability of prey, thus optimising practises aimed at managing the invasion. The online version of this article (doi: 10.1007/s00227-014-2595-3) contains supplementary material, which is available to authorized users. 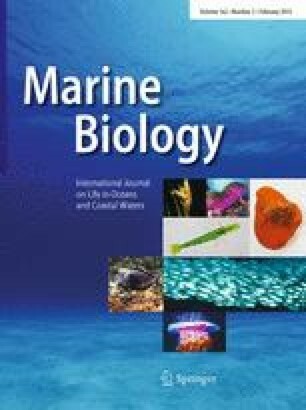 This manuscript is contribution Number 201402 to the Central Caribbean Marine Institute (CCMI). This project was funded by the Guy Harvey Foundation and the Central Caribbean Marine Institute Discovery Fund. Authors wish to express their gratitude to The Cayman Islands Department of Environment for their support and Reef Divers—Little Cayman Beach Resort for their generous contribution towards the diving costs of this study. Special thanks to Lowell Forbes, John Clamp, Hudson Davis, and Emma Camp for their valuable assistance during field surveys and to Jeremy Olynik for assistance creating the map of the study area.